In 1827, Mexico City ordered the Presidio de San Francisco to build a guardhouse and barracks at Yerba Buena Cove. Typical of government orders from Mexico City to Alta California at this time, no funds accompanied the requirement. Orders to establish a training center in the Presidio followed. But again, no resources were allocated to accomplish the task. In truth, the Presidio was headed toward oblivion. The San Francisco Bay Area was booming in trading, trapping, farming and ranching. But the company of soldiers at the Presidio was now down to a mere fifty men. Within a few years, it would be as few as thirty. 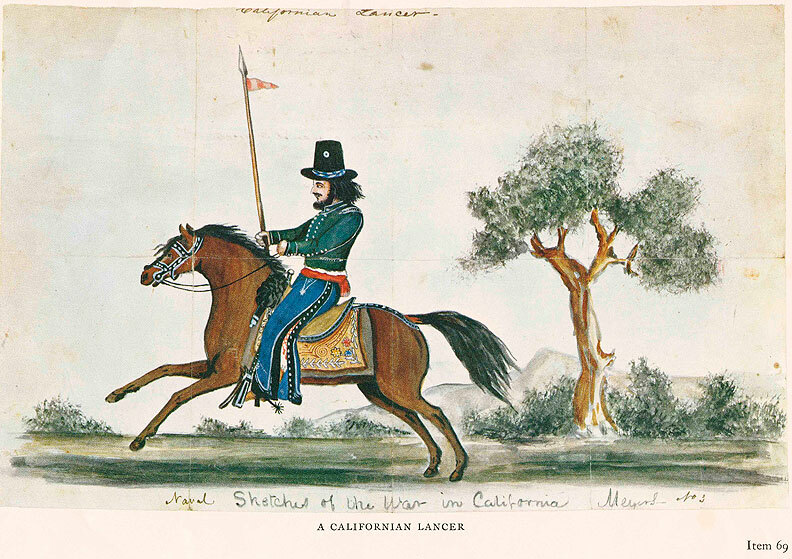 By 1829, the Mexican soldiers in Alta California were not being paid. Some refused to report for duty unless they received back pay. Finally, in November 1829, the situation exploded. An ex-convict colonist named Joaquin Solis led a rebellion of soldiers to overthrow the government. In Monterey, Solis and his men seized the offices of Governor Jose Maria de Echeandia. They demanded back pay, back rations and the resignation of Echeandia himself. Taking what they could, Solis and his men then headed for San Francisco. On November 15, 1829, the rebels easily seized control of the Presidio de San Francisco. They had the help of the common soldiers and quickly subdued the officers. Ignacio Martinez was the commandant at the time. Perhaps surprised by his own success, Solis now approached Don Luis Arguello. Don Luis had been acting Governor of Alta California from 1822 through 1825. He had also been a very successful commandant of the Presidio itself. The rebels asked Don Luis to lead the rebellion. He declined. Solis and his rebel forces then marched south for the inevitable showdown with Mexican soldiers under Governor Echeandia. On January 1, 1830, New Year's Day, the small armies met just north of Santa Barbara at Santa Inez. Echeandia had a force of 150 trained soldiers intent on acquitting themselves well. Solis and his men were bluffing. On the opening, the rebels fired a cannon shot on Echeandia's position. When Echeandia's forces didn't run, Solis' did. The rebels abruptly ran in the opposite direction leaving their arms on the field! It was a "comic-opera engagement" as historians Langellier and Rosen put it. The main conspirators, including Solis, were subsequently arrested, tried and deported.